Since 1983 Woodlawn Auto Center has been providing the Northern Virginia area with certified State safety inspections and emissions testing, domestic and foreign auto repair service station, and 24/7 gas pump service. 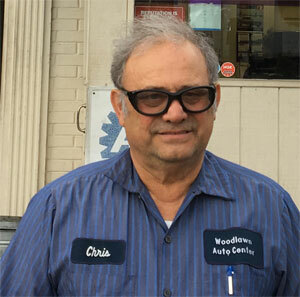 Owner Chris Lambrou is a fixture in the community where he lives and has serviced cars for 36 years. That is a lot of years in the car repair and service business! He has been a member of the Mount Vernon Lee Chamber since 1998. Woodlawn Auto Center, located at 5635 Mount Vernon Memorial Highway, includes a three vehicle service garage, four gas pumps with quality gasoline at some of the lowest prices in the region, and an indoor waiting area with refreshments. Early drop offs are accepted at this Mount Vernon location to help with the demanding schedule of their customers, and members of their friendly staff are bilingual in both English and Spanish. 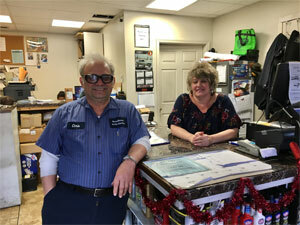 Woodlawn Auto Center is renown for its outstanding customer service. Chris wants every customer to feel that they have received the best service possible and have been treated fairly. The staff works to make every visit a successful one. Woodlawn Auto Center services a wide variety of car makes and models. They also do state safety and emissions inspections. Whether your vehicle needs regular maintenance or a repair they do it all. You can check out the coupons available on their website. The location near the intersection of Mount Vernon Memorial Highway, Richmond Highway, and Jeff Todd Way gives the business a lot of visibility. Chris has also planted rose bushes and flowers at his own expense to beautify the intersection. 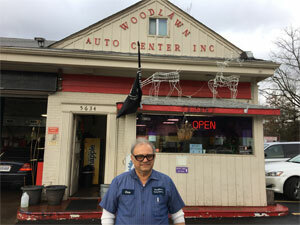 Woodlawn Auto Center serves the community and has done so very successfully for 36 years.